Has the political power of big business, particularly transnational corporations (TNCs), increased in our globalizing world? What, if anything, constrains TNCs? 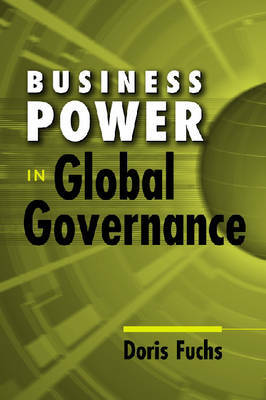 Analyzing the role of business in the global arena, this systematic and theoretically grounded book addresses these questions. Fuchs considers the implications of expanded lobbying efforts by businesses and business associations, the impact of capital mobility, and developments in the area of self-regulation and public-private partnerships. She also highlights the role of business in framing policy issues and influencing public debate. Clearly identifying the sources of the marked increase in the political power of TNCs, she also provides ample evidence of the limitations and vulnerabilities that rein them in.